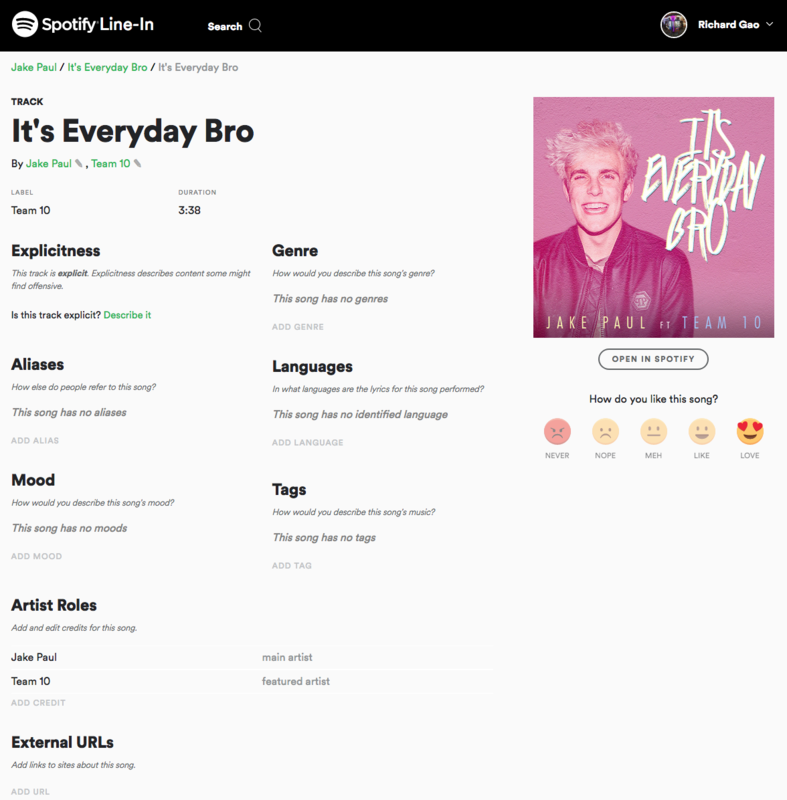 Spotify's data is pretty accurate for the most part, and I've personally never seen any errors. But if you have and you struggled to find a way to report it, you might find Line-In to be pretty useful. It's only an experiment for now, and you'll have to use the desktop client to be able to use it, but it could prove helpful to the company and the listeners alike down the line. 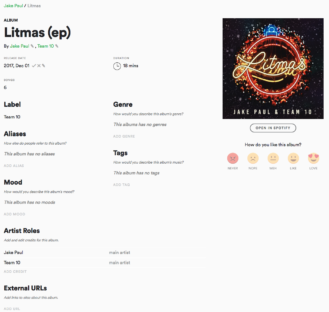 Line-In allows suggestions to be made for explicitness, genre, aliases, languages, mood, tags, artist roles, and external URLs for songs, albums, and artists. 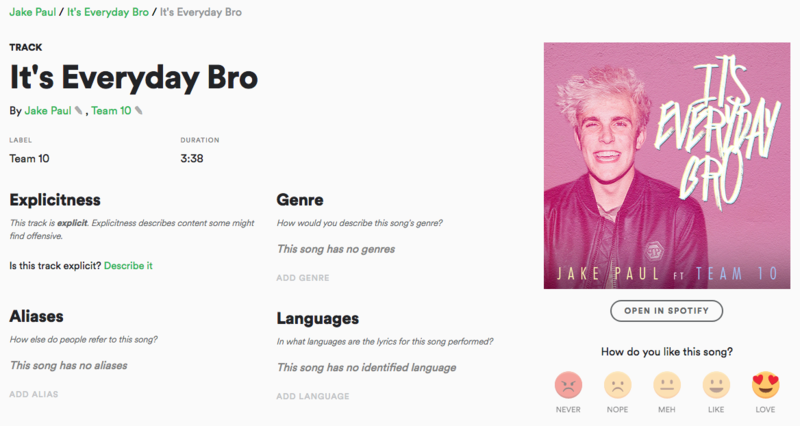 For instance, if I'd like to mark Jake Paul's magnificent "It's Everyday Bro" as being an English-language song, I can do so here. Line-In also allows users to select one of five reactions; of course, the love emoji is the only one suitable for this particular work of art. The main page contains a ton of surveys you can take. 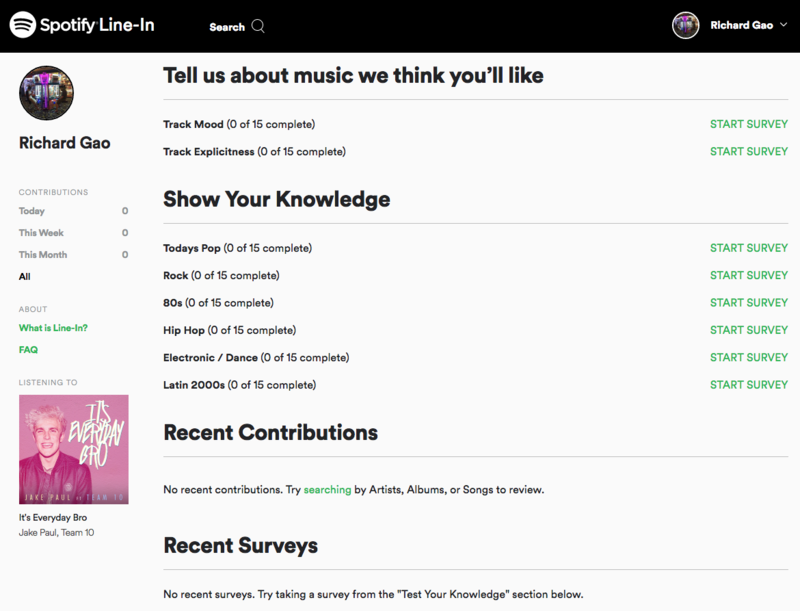 The two surveys under "Tell us about music we think you'll like" basically just ask questions pertinent to their respective titles, whereas those under "Show Your Knowledge" ask specific questions for a variety of artists like when a specific album was released, which aliases a certain artist goes by, etc. Neither will be very fun to do unless you're an extremely dedicated fan. 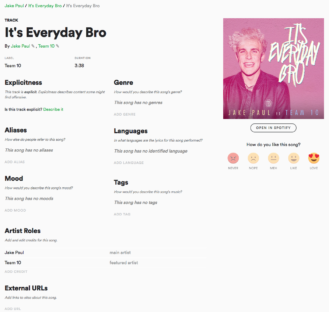 Each variant of "It's Everyday Bro" has its own unique merits. As mentioned previously, Line-In currently only works on desktop clients. It's not in Android, it's not in iOS, and it's not even in the web player. 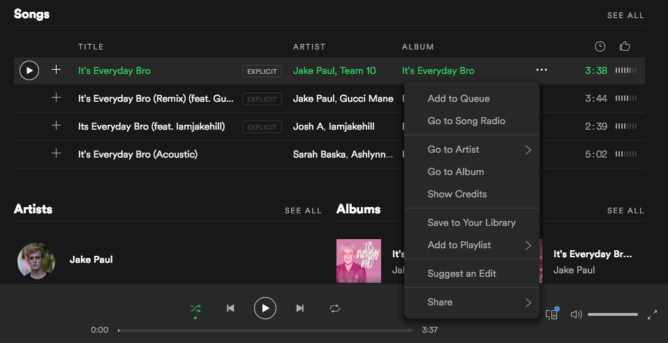 To use it, hit the three-dot menu besides each song/album/artist name, click "Suggest an Edit," and sign into your Spotify account on the web via the link it opens.